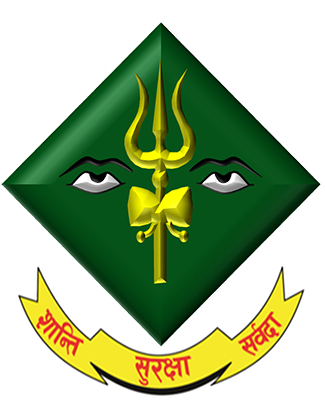 The ‘Valley Command Office’, with the motto “Shanti Surakshya Sarbada”, was established on May 19 2003 (2060 Jestha 5). 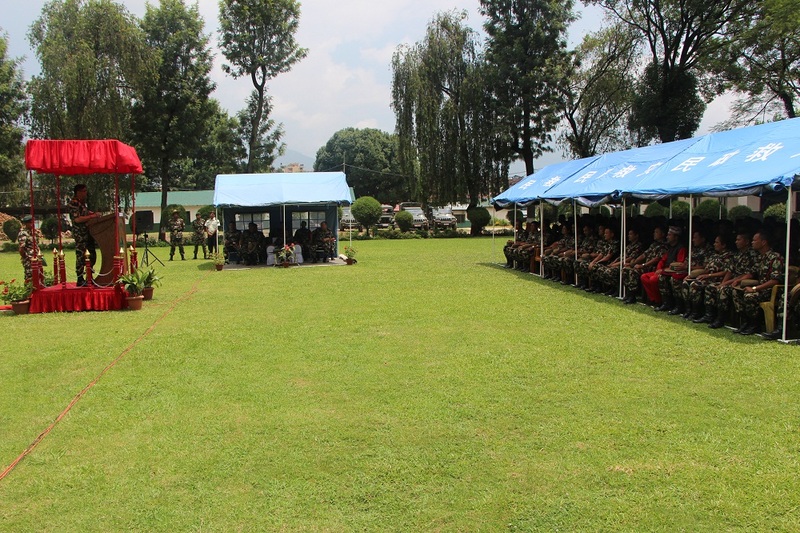 Later it was renamed as “Valley Division HQ” on December 13, 2003 (2060 Poush 15). At the beginning, the division HQ was based at Singha Durbar, Kathmandu and later it was relocated to the Narayanhiti Palace. 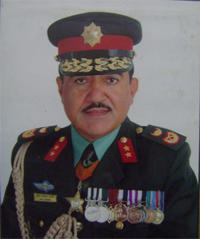 Maj Gen Kiran Shumsher Thapa (Retd.) was the first General Officer Commanding of this division and Major General Shashi Chandra Bahadur Singh is the present GOC. 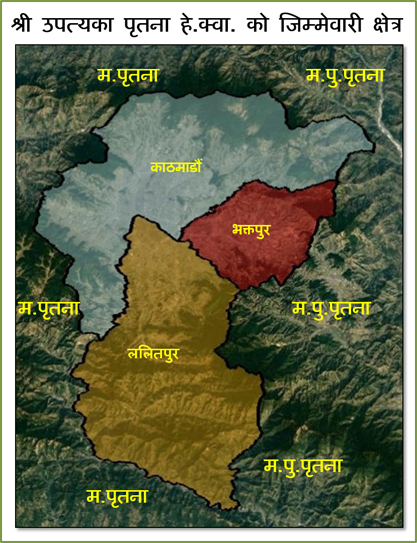 The successive GOC of this division were Maj Gen Dilip Karki (Retd. 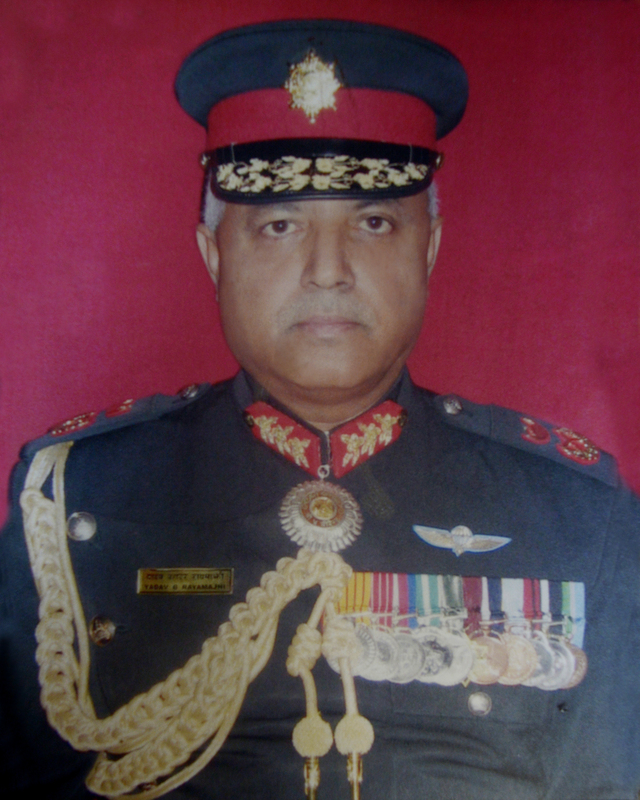 ), Maj Gen Dipak Bikram Rana (Retd. 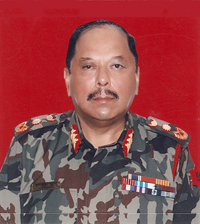 ), Maj Gen Kul Bahadur Khadka (Retd. 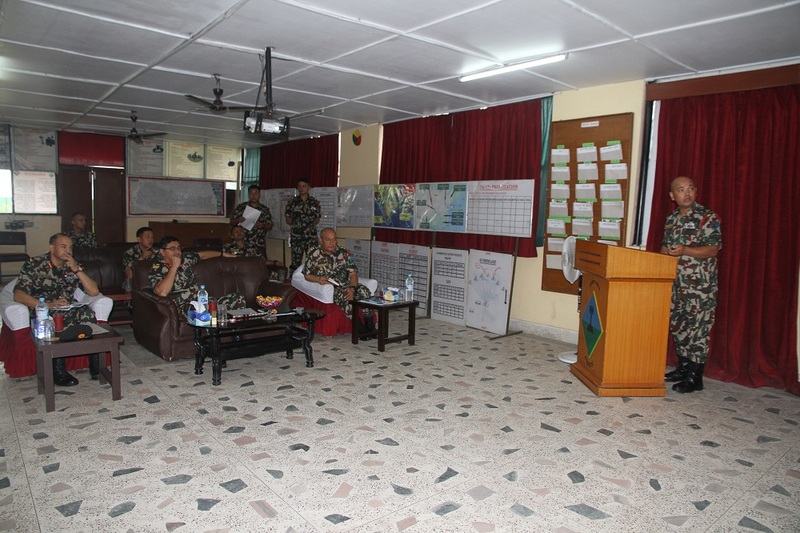 ), Maj Gen Anil Jung Thapa (Retd. ), Maj Gen Daman Bahadur Ghale (Retd. 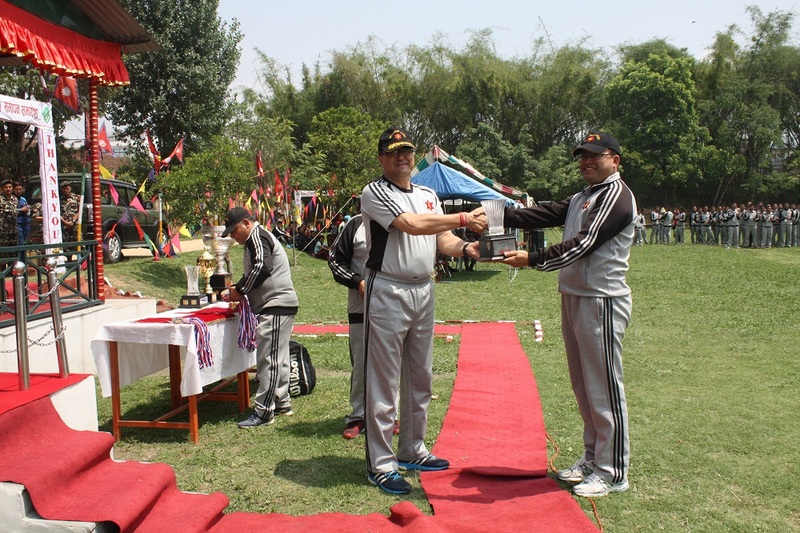 ), Maj Gen Keshav Raj Mahat (Retd. 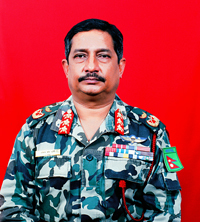 ), Maj Gen Victor JB Rana (Retd. 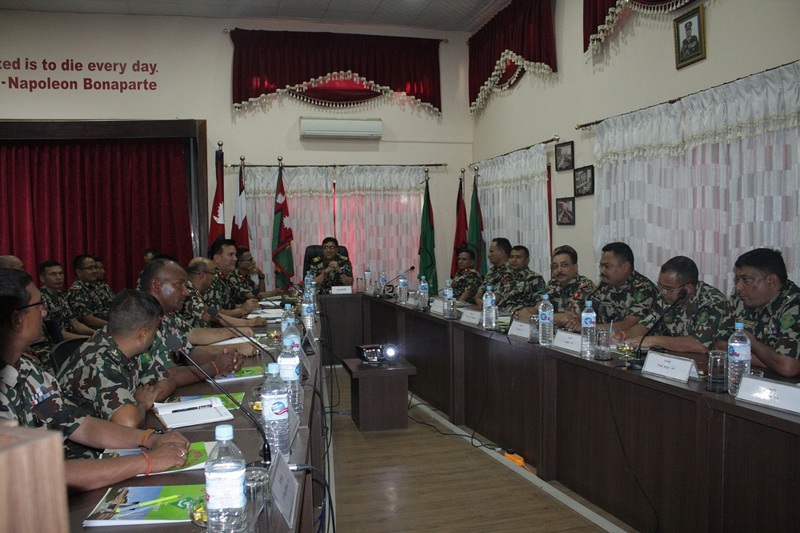 ), Maj Gen Mahesh Bikram Karki (Retd. 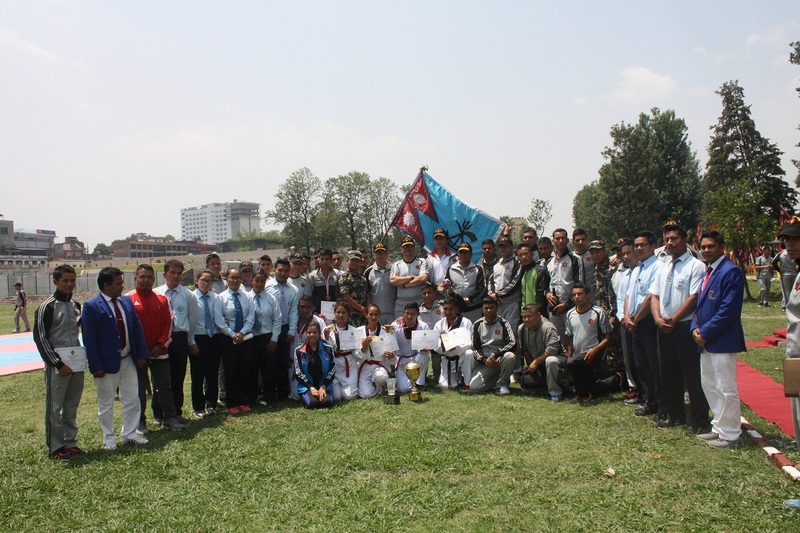 ), Maj Gen Purna Chandra Thapa, Maj Gen Himalaya Thapa (Retd.) and Maj Gen Anuj Basnyat, Maj Gen Sarad Kumar Giri, Maj Gen Purna Bahadur Silwal (Retd.). 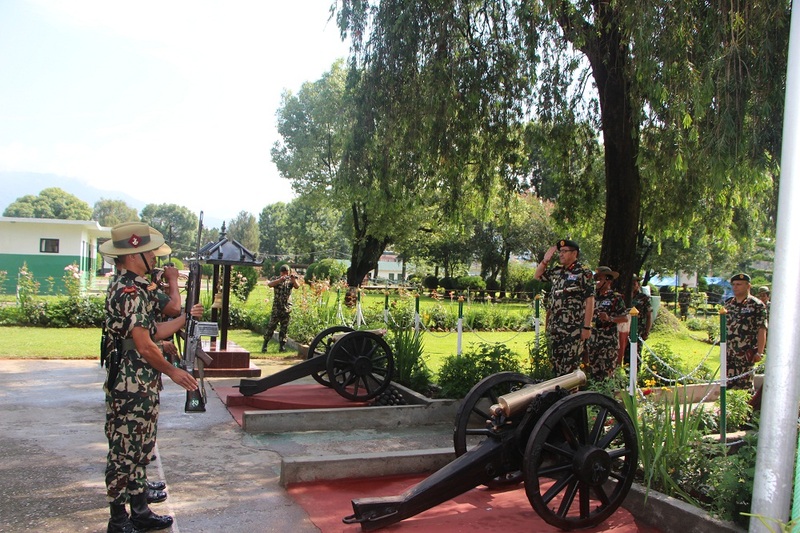 Maj Gen. Shashi CB Singh was commissioned into the Nepali army in 1983. As a Second Lieutenant, he served in an Independent Armored Company for a very short time and later was reassigned to an Infantry Battalion. In 1989 Maj Gen. Singh served with the newly formed Special Forces Unit as founder member for a significant time of his career. In 2000, he was given the command of an independent infantry company and in 2003 was reassigned to the Special Forces independent Coy as the commander. 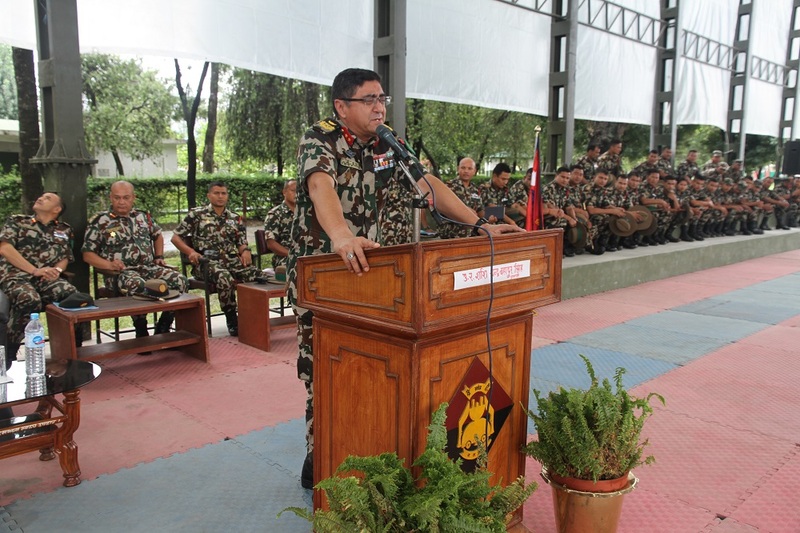 He commanded an Infantry Bn in 2004 and from 2006-2008 was the Directing Staff at the Army Command and Staff Collage at Shivapuri, and later became the Senior Instructor in the same collage. 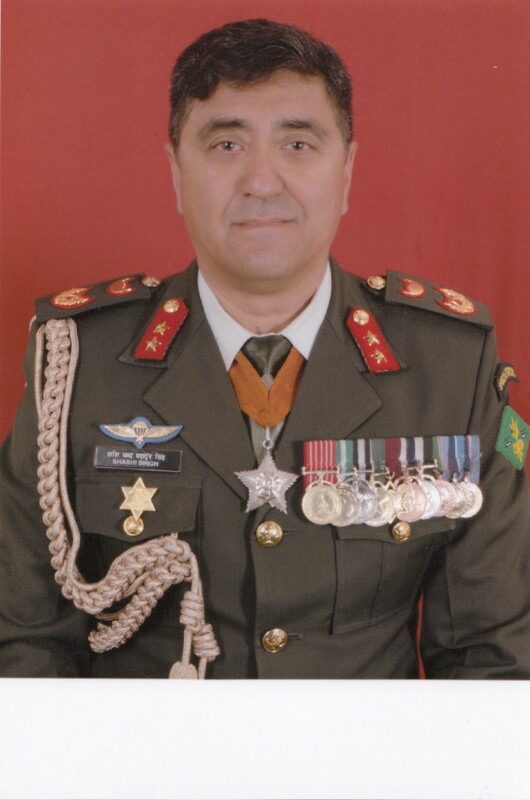 In 2008, as a Col, he was given the command of the Special Forces Battalion and later in 2011 served as the deputy Brigade Commander in an infantry Brigade (19 Bde). 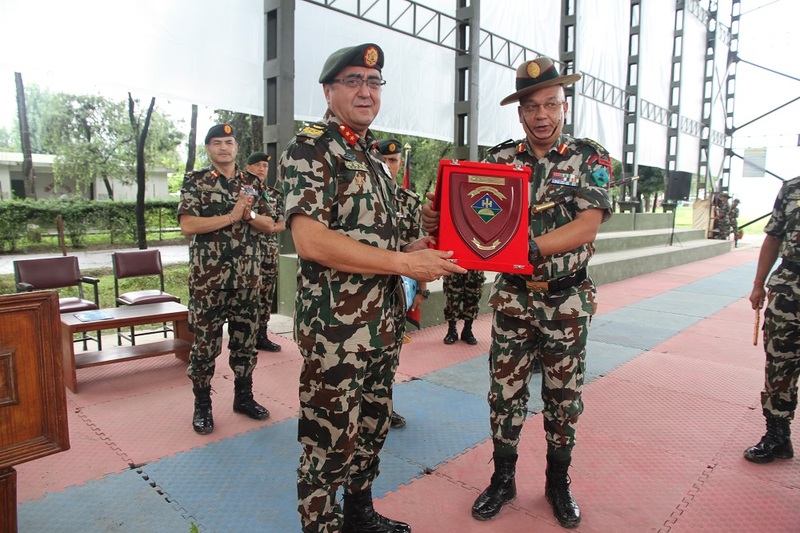 He then was appointed as the Commandant of Nepalese Military Academy, Kharipati, in 2014. 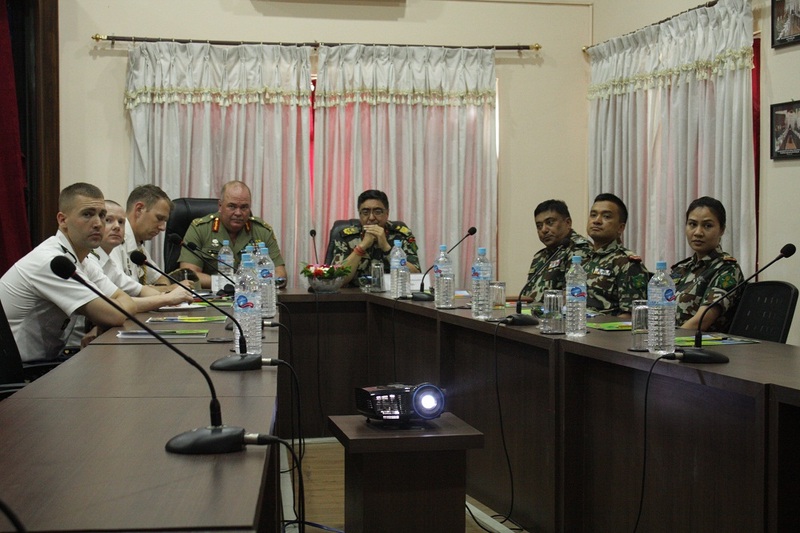 After being promoted to Brig Gen in 2015 he commanded infantry brigade (26 Bde), after completing his command served as the Director of the Directorate of Strategic Prospective Planning (DSPP) in 2016. 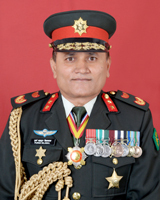 After being promoted to Maj Gen. in Nov, 2017 he was appointment as the Quarter Master General. 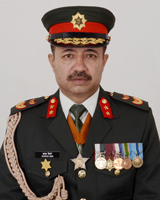 He is currently the General Officer Commanding of Valley Division (From 12 March 2018). Maj Gen. Singh is an alumna of Royal Military Academy Sandhurst, UK and a graduate of Civil Affairs and Special Forces Courses from John F Kennedy Special Warfare Centre, Fort Bragg, USA. 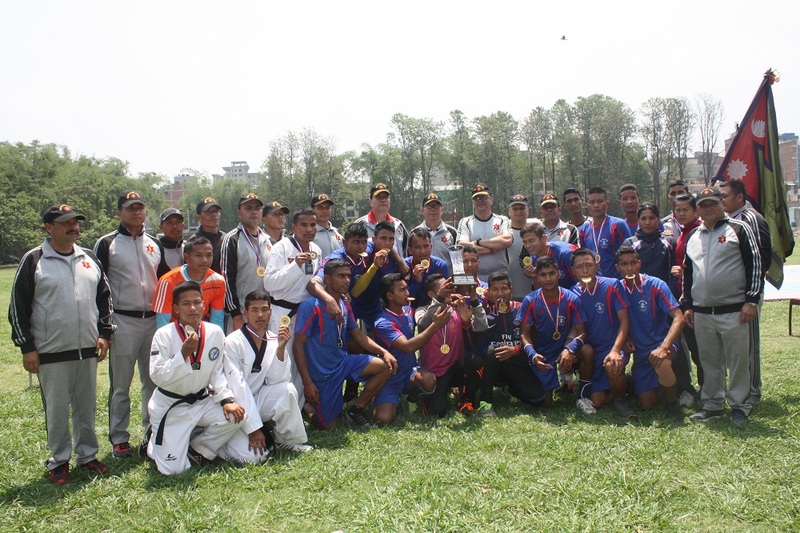 He did his Staff Collage from Nepal as well as Mirpur, Bangladesh and completed Higher Defence Orientation Course (HDOC) from India. In 2014 he graduated from Royal College of Defence Studies (RCDS), UK. Maj Gen. Singh has participated in various UN missions. He is married and blessed with twins. Among many hobbies he likes to play tennis, swim and garden in his leisure time.